No need to keep re-lighting or hunt for a candle replacement. 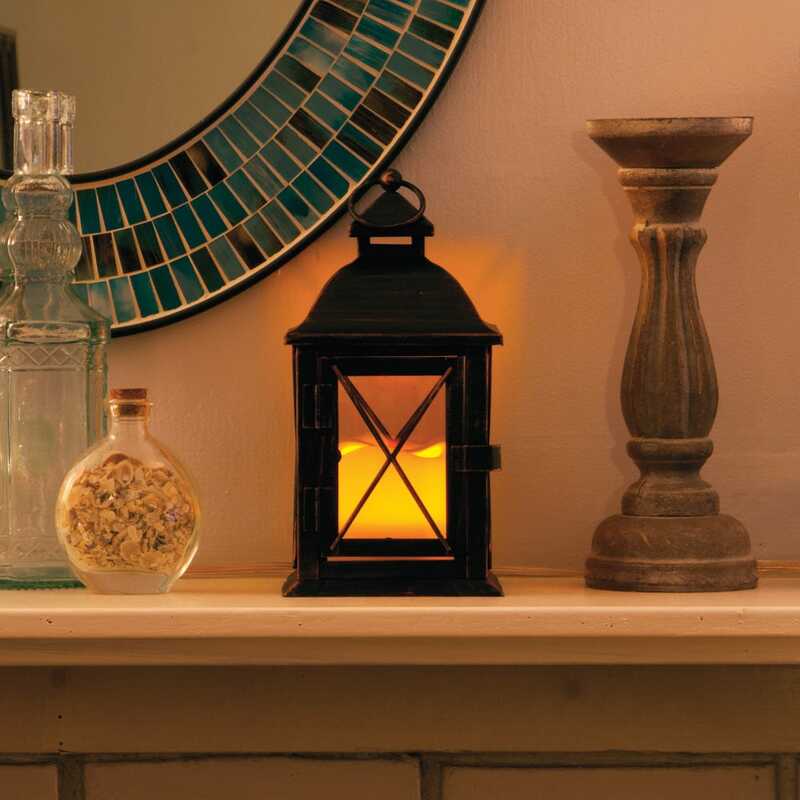 These lanterns glow with the light of long-lasting LEDs, yet create ambience as soft as candlelight. 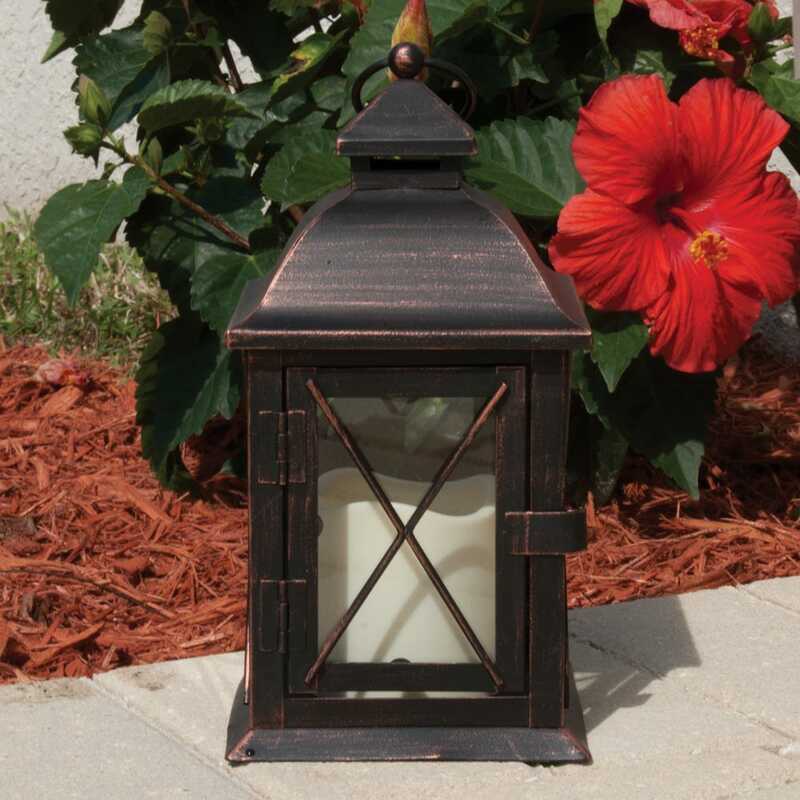 They have glass or metal window panes, on/off/timer modes, metal hanging rings, and are safe for use indoors or out. Flip the switch and Lanterns will run for six hours then shut off at the same time everyday. 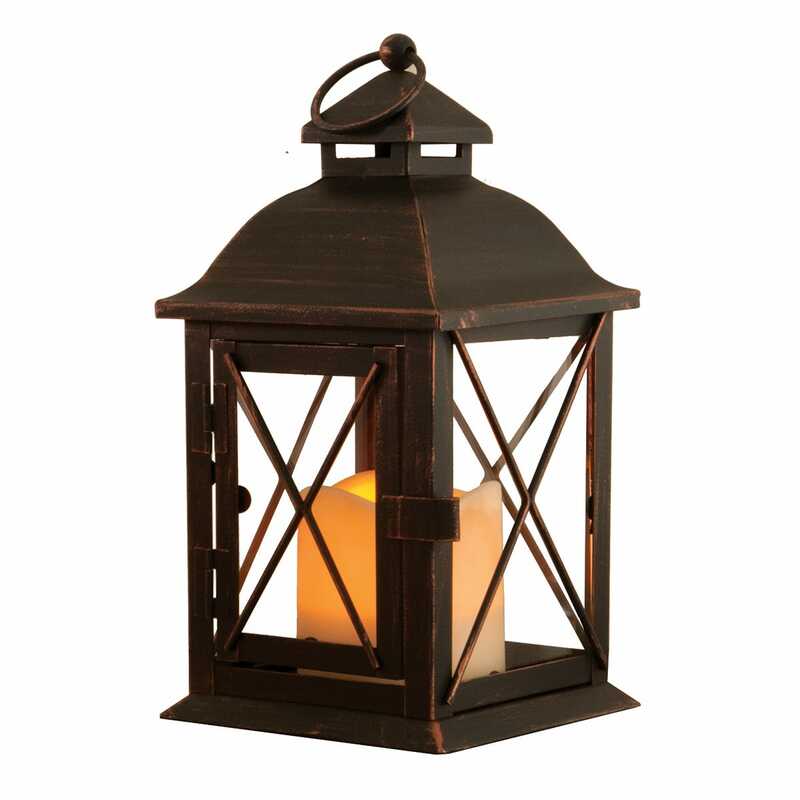 Lantern operates on 2AA batteries, sold separately and measures 10 inches.